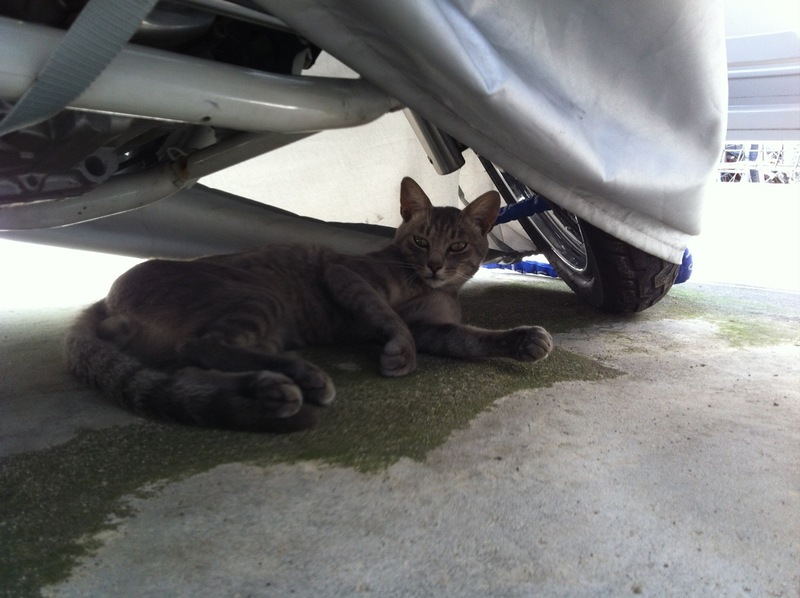 I found this cute kitty chilling out under someone’s motorcycle. I don’t blame him/her. It’s really hot today! When I first came to Japan, I definitely had a shroud over my head thinking that society here was overall better. More understanding, more civil and more polite. Well, after some tough experiences, that shroud’s been ripped away. Don’t get me wrong, I still love Japan and I enjoy my job, but it just wasn’t the mecca I was imagining. Below is one example of things (this no-dancing law) that just down-right doesn’t make sense and I think is being abused because of Japan’s extremely conservative views. My friends, unfortunately, had to experience this last week when they went out to a dance club in Roppongi and had to stand perfectly still while in a dance club. Really? That’s just silly. Late-night dancing should not be a crime in Japan | The Japan Times Online. So I got a small ocarina at the recycle shop today for a few bucks. Decided to lay down some jams to influence your ear-holes. Have fun! I went on a random date with a Japanese girl today. I kinda thought this was weird and deserved documentation because of the chain of events that lead up to this. Alright, so if you didn’t know already… Japan still gets a lot of earthquakes. Being in a mountain basin somewhat cushions you from the effects, but that doesn’t protect us from all of them. This is a pretty awesome YouTube video visualizing the earthquakes in Japan over the past year. If you’re one for stats, this is *your* video.